Students and staff at Landau Forte College are celebrating another record year of improvements at GCSE today. This summer, according to the government’s ‘Basics’ measure, 79% of students achieved a level 4 or above in both English and maths. 60% of students achieved at least a 5 in both subjects – representing the very ‘strong pass’. Niall Oswald achieved eight grade 9s in Maths, English Language and Literature, Biology, Chemistry, Physics, Geography and Computer Science. Niall also achieved two grade 8s in German and Art and Design. Zoe Marshall achieved seven grade 9s in Maths, English Literature, Biology, Chemistry, Physics, Spanish, Art and Design. Zoe also achieved grade 8s in English Language and History and an A* in Product Design. Joseph Dickinson achieved five grade 9s in Maths, Biology, Chemistry, Physics, Computer Science, grade 8s in English Language and German. Joe also achieved an A* in Product Design and Distinction* in BTEC Engineering. Annabel Kennard achieved three grade 9s in English Literature, Geography and History, five grade 8s in English Language, Chemistry, Physics, Spanish, Art and Design and two grade 7s in Maths and Biology. Michal Parker achieved five grade 9s in Maths, English Literature, Biology, Chemistry, Physics and two grade 8s in History and Geography. Michael also achieved three grade 7s in Spanish, Computer Science and English Language. Ismail Waseem achieved three grade 9s in Maths, Chemistry and Computer Science and two grade 8s in Biology and Physics. Ismail also achieved four grade 7s in English Language and Literature, Spanish, History and an A* in Product Design. This follows news that the school received the best A Levels in the city last week, with high numbers of students taking up places at top Russell Group universities. “Despite the uncertainty of the new grading system, our students as ever have been rewarded for their hard work and love of their subjects. These achievements are the culmination of years of dedication and preparation throughout their secondary schooling, and lay the foundations for further success to come. “Our staff, too, work tirelessly each year to set high standards and expectations, challenging our students to achieve more than what they might have thought possible. 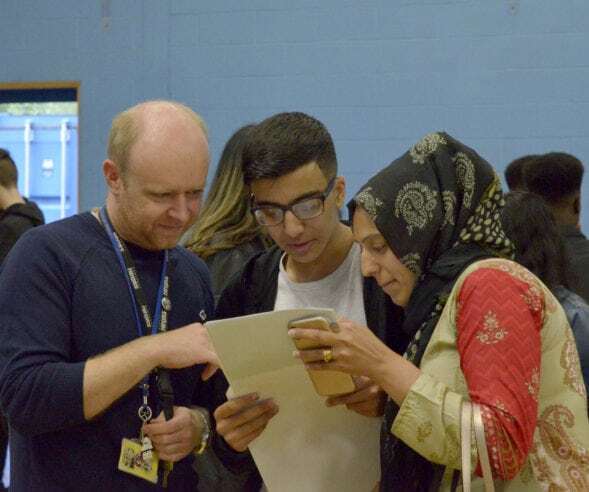 The benefits of this approach continue to show in our GCSE and A Level results and we look forward to this year’s exam success filtering down throughout our school as inspiration for younger cohorts.